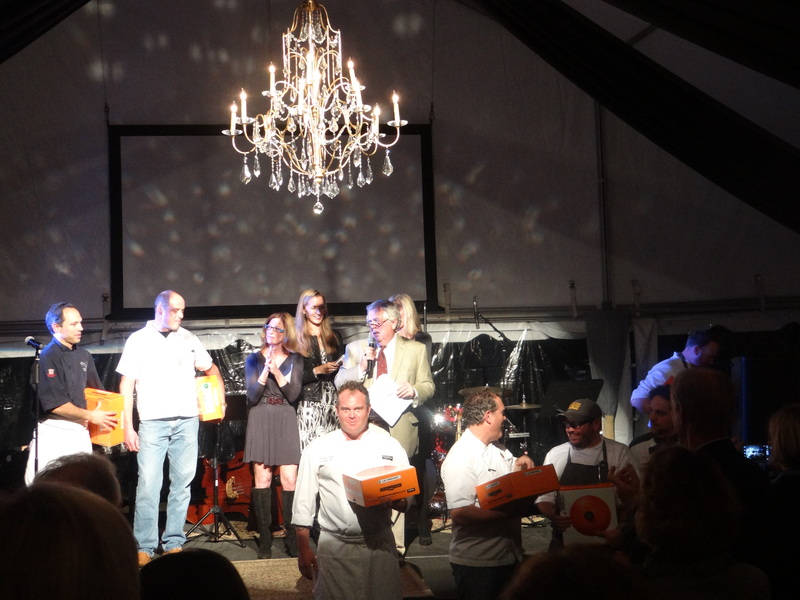 So Monday night marked the final event of the 2013 Charleston Wine and Food Festival. I was blessed to be asked to participate in the event, serving hors d’oeuvres prior to the event. Inside the historic bastion of Fort Moultrie, I was joined by James Beard winners Nathalie Dupree, Matt and Ted Lee, and of course our Executive Chef, Frank Lee. Asked to offer bites with a historic tie to the fort, we settled on a lemonfish – hearts of palmetto ceviche (as the original fort was of course constructed of palmetto logs in our victory over the British armada – more here), and smoked Sunburst trout, hoecake and roasted beet creme fraiche. We thought the skies were going to open up and dump on us, but as so often happens at these things, the skies parted, the sun came out and a good time was had by all. As the cocktail hour waned, trumpets announced seating across the street for the James Beard Foundation dinner. Guests had previously purchased tickets for suppers curated by our local James Beard winning chefs- Robert Stehling, Mike Lata, and of course Sean Brock. As our guests left Fort Moultrie and I broke down and cleaned up, I received word that at the last minute, I’d been miracled to a seat at the supper. 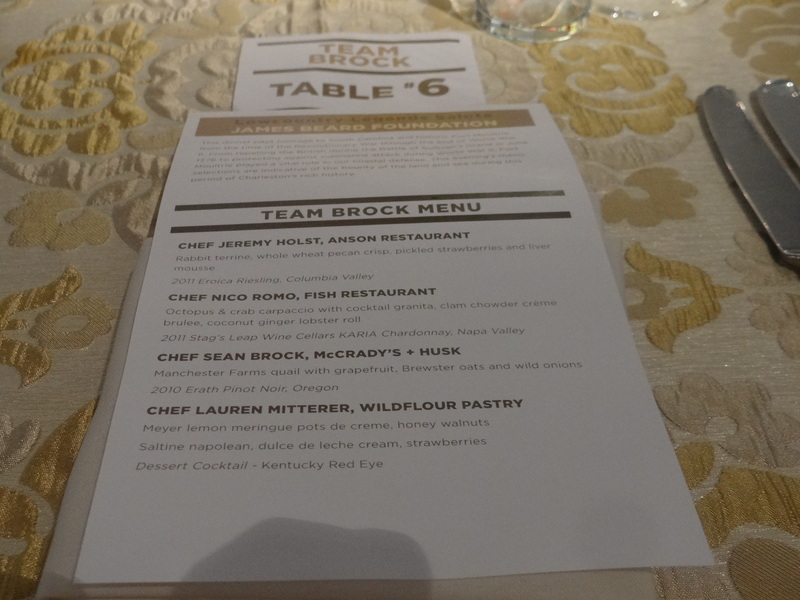 I was seated at the Team Brock table, sandwiched between some lovely folks from Blue Ion design and Chef Brock’s wife and mother, with a direct view of the kitchen as they fired and plated. It was a lovely evening, an inspiring eating experience, and a rare opportunity. 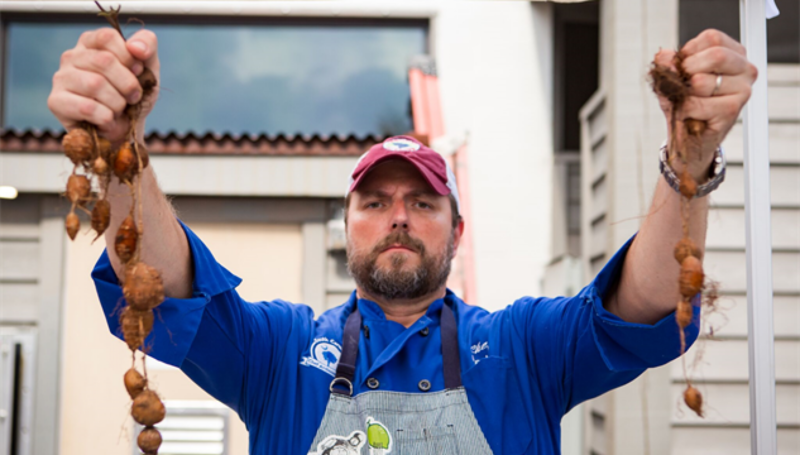 The 2013 James Beard Foundation semi-finalist awards had been announced earlier in the day from Lowndes Grove in Charleston, and Mike Lata’s The Ordinary had made the cut for Best New Restaurant, Nathalie Dupree’s book “Mastering the Art of Southern Cooking” had been nominated for a cookbook award, and Chef Sean had earned a nod for Outstanding Chef US, in the company of Gary Danko and David Chang among others. It was truly a blessing to sit with that company on such a special day, and of all the fine foods we enjoyed, it was the humblest of ingredients – the oats, that nailed it.